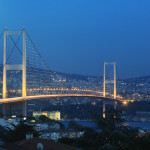 One of Istanbul’s two suspension bridges spanning the Bosphorus Strait, the Bosphorus Bridge (Turkish: Boğaziçi Köprüsü) runs from Ortaköy, in Europe to Beylerbeyi, in Anatolia. 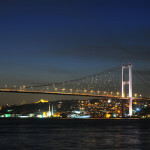 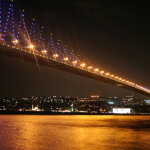 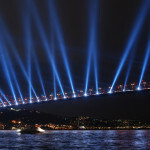 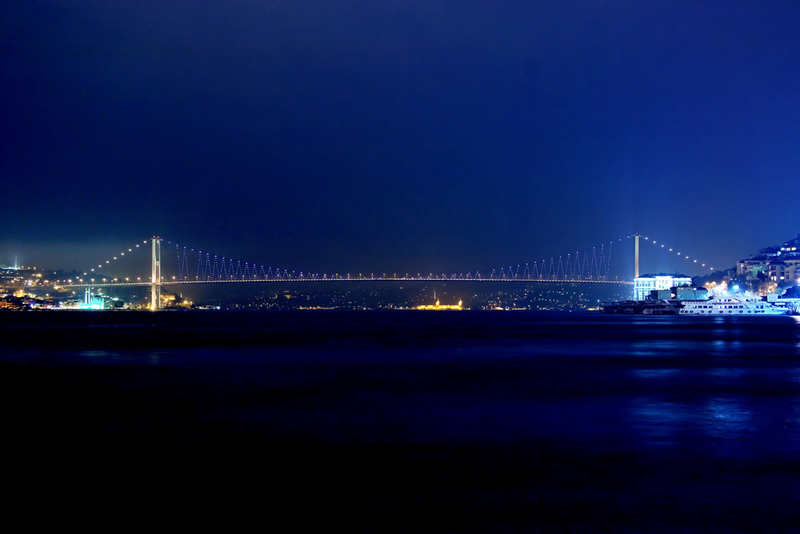 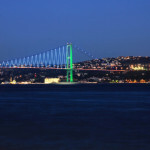 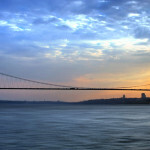 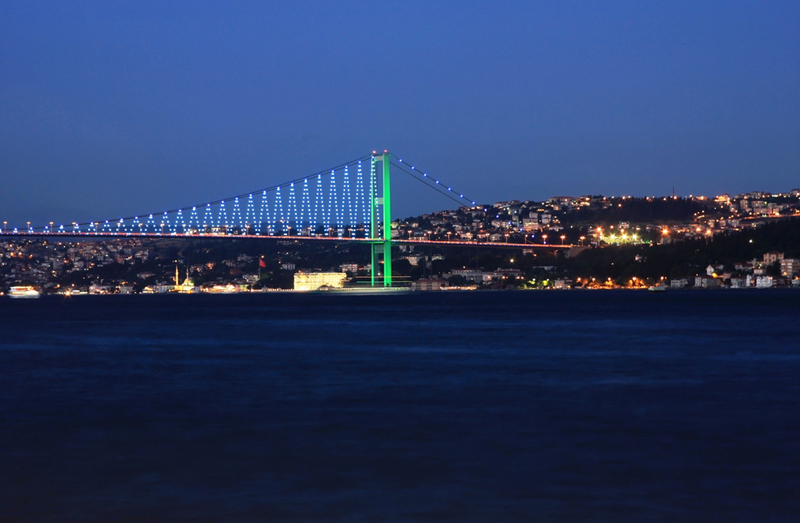 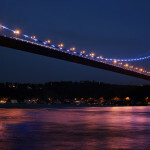 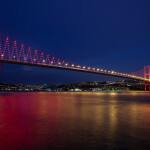 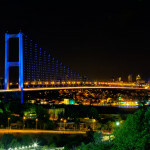 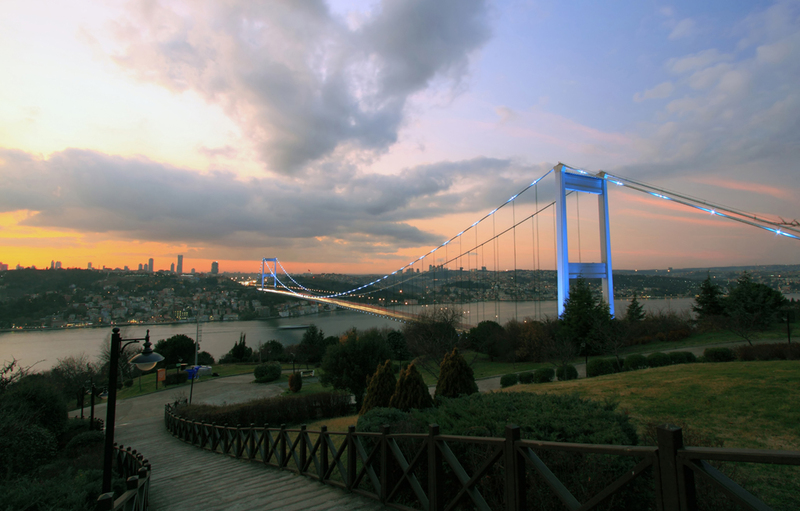 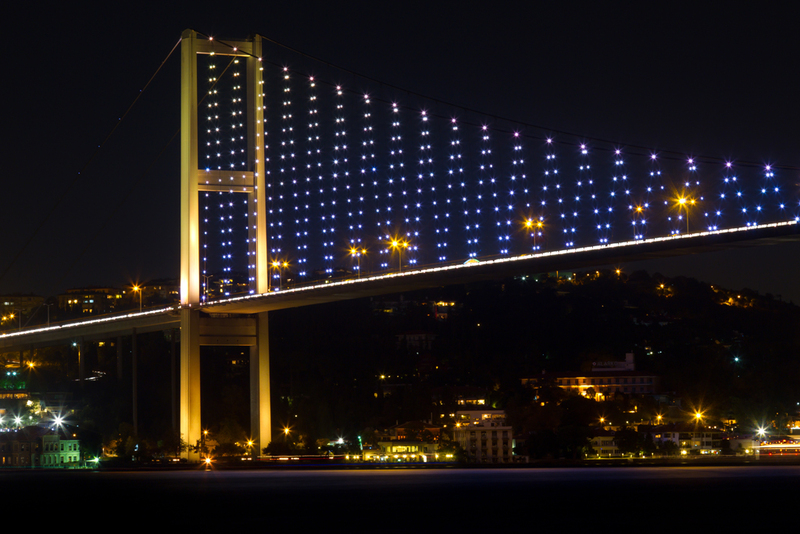 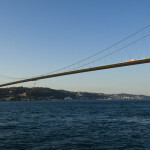 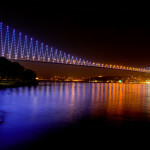 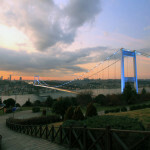 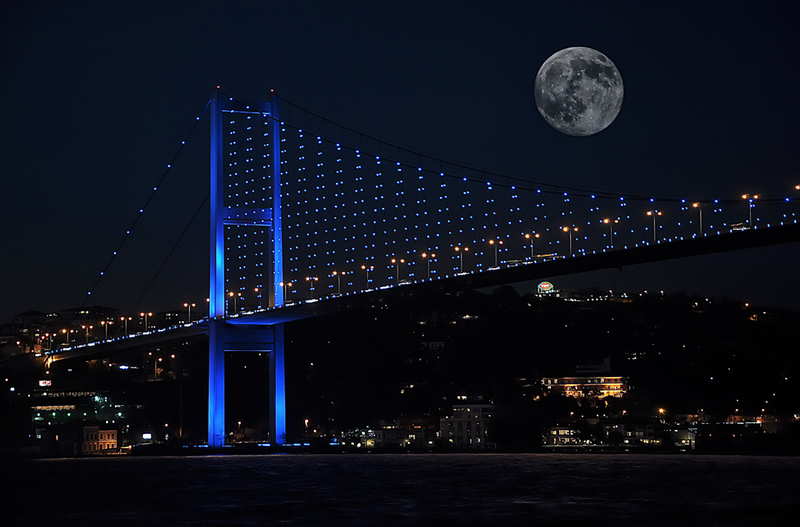 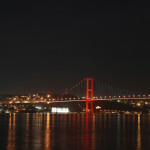 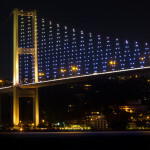 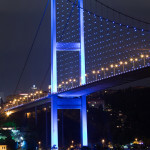 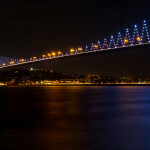 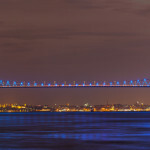 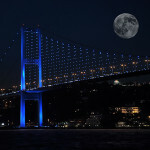 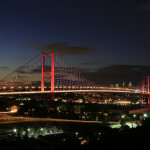 One of Istanbul’s two suspension bridges spanning the Bosphorus Strait, the Bosphorus Bridge (Boğaziçi Köprüsü) runs from Ortaköy, in Europe to Beylerbeyi, in Anatolia. 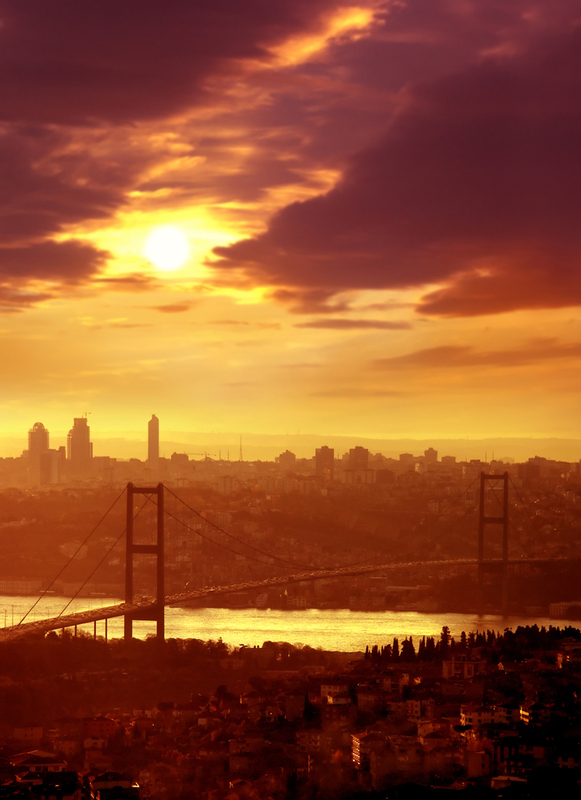 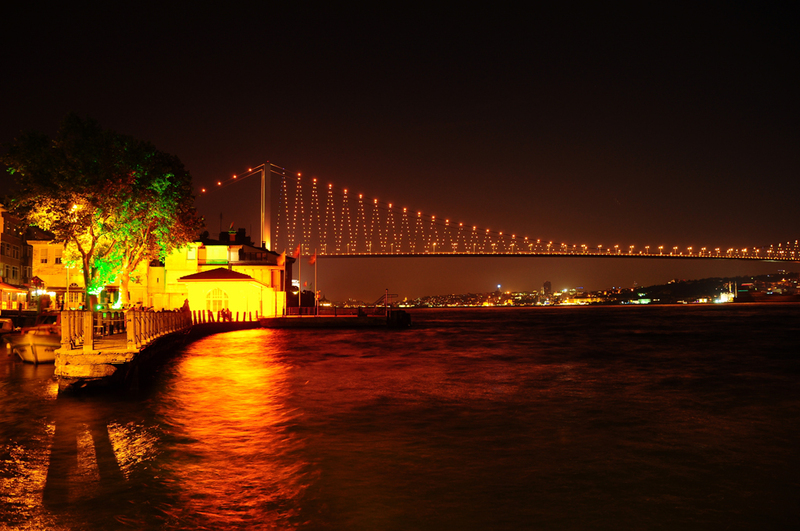 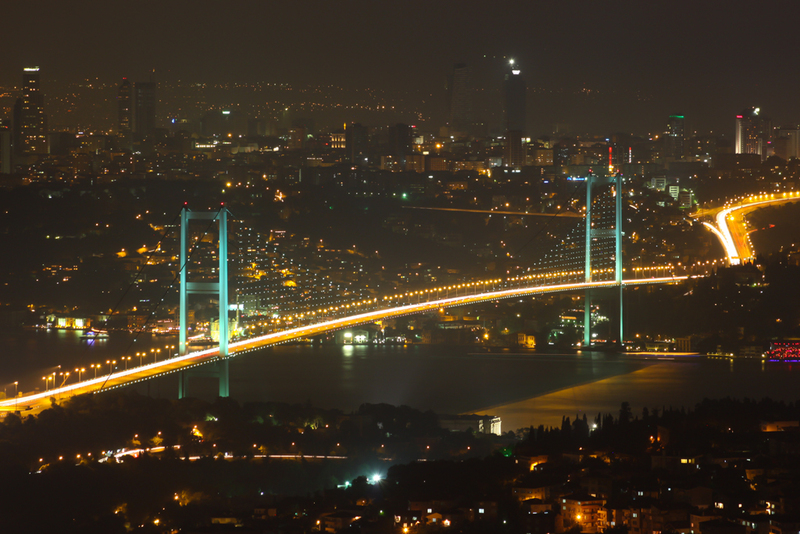 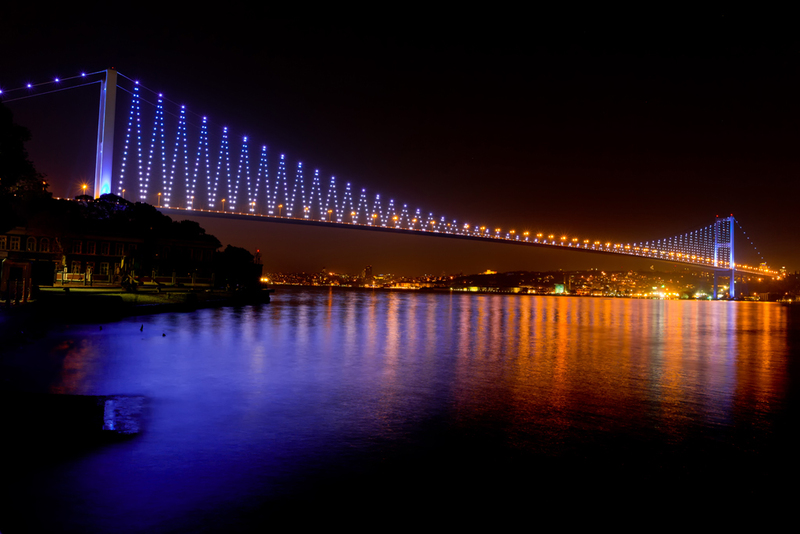 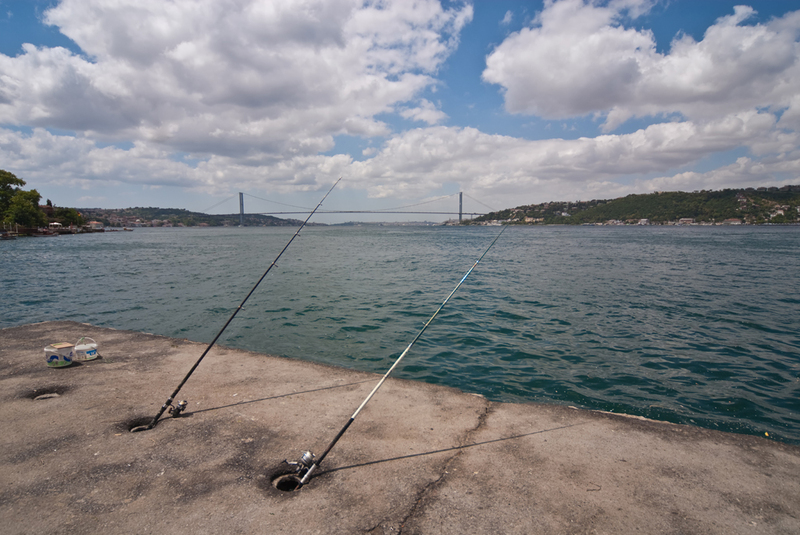 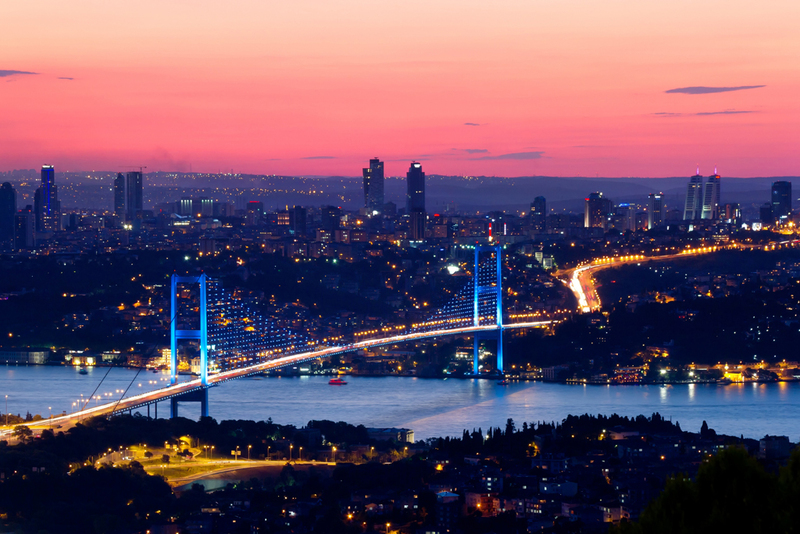 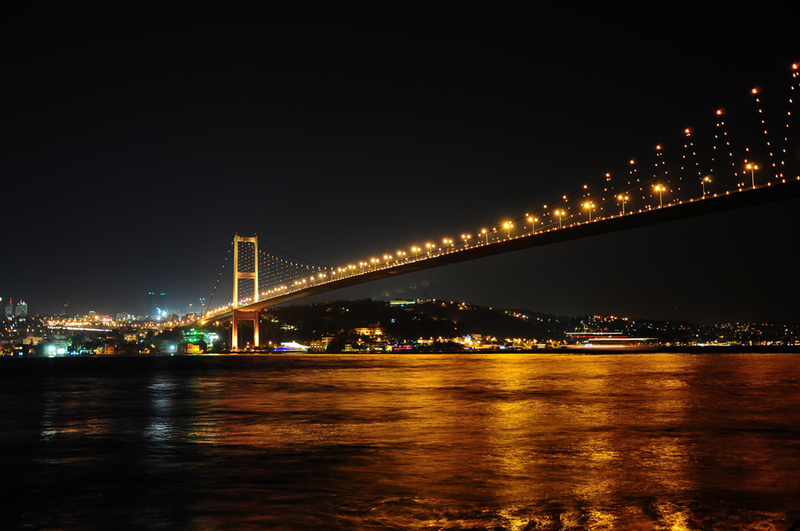 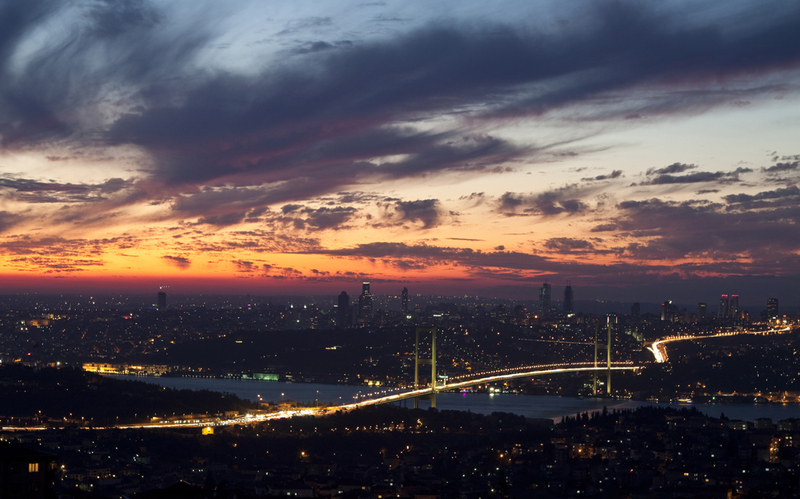 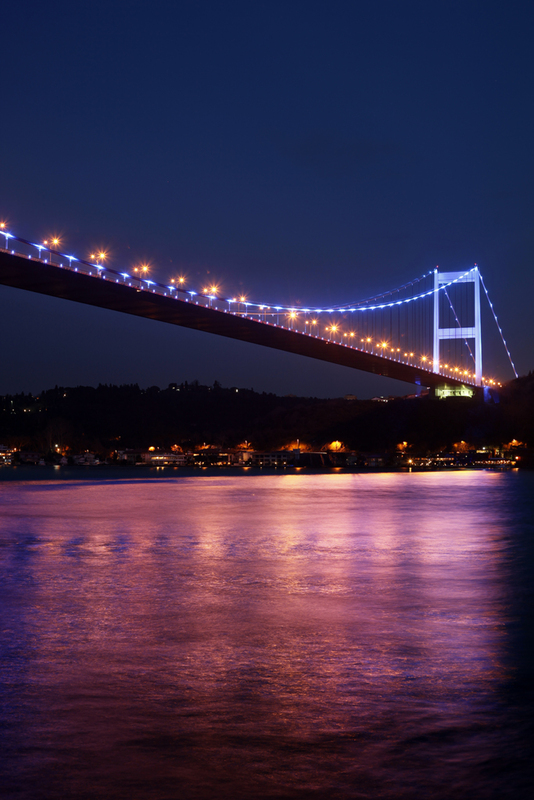 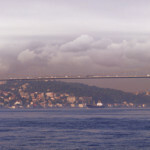 The Bosphorus Bridge was the first bridge built across the strait. 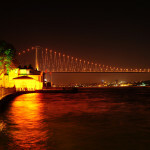 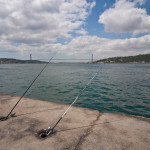 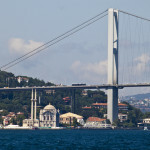 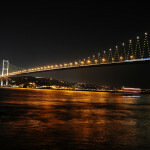 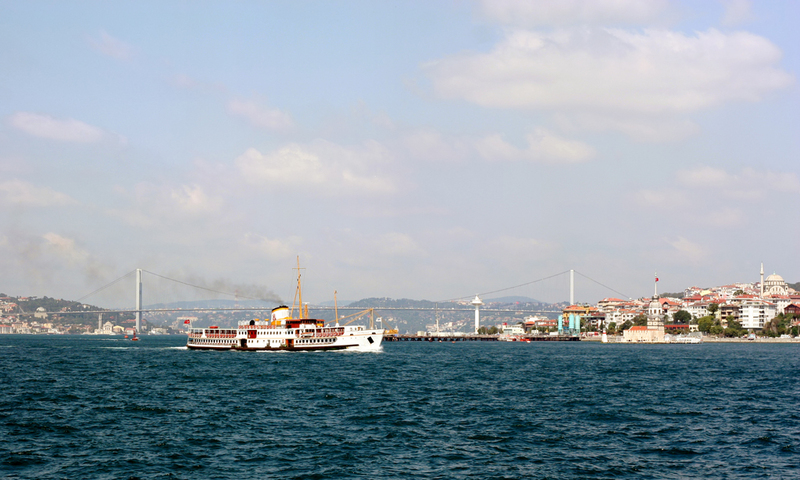 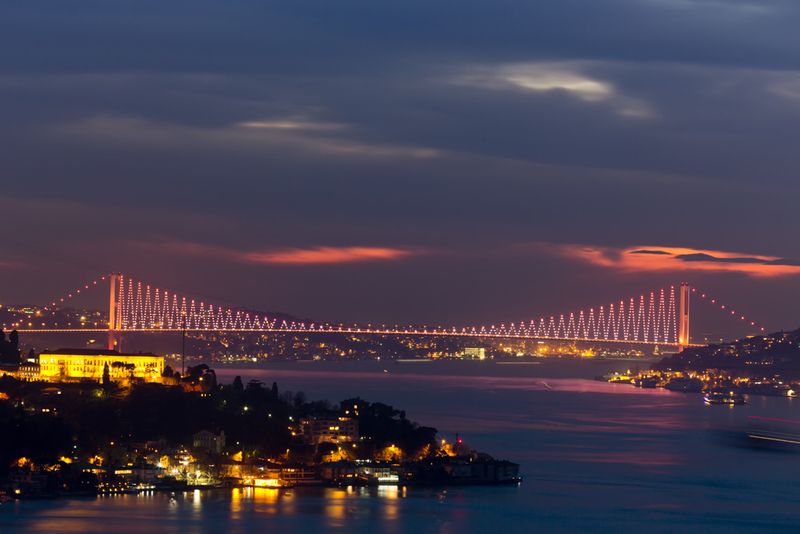 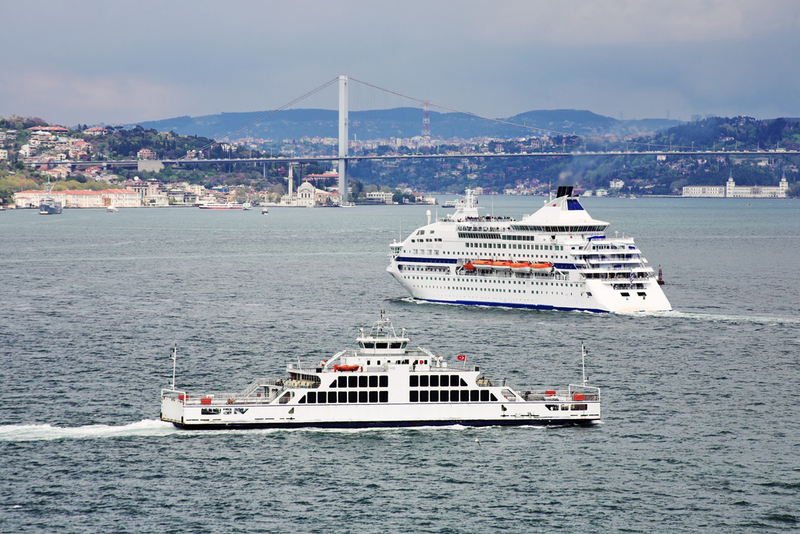 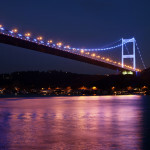 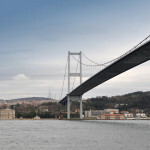 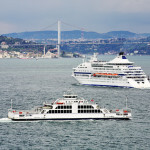 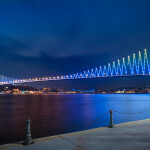 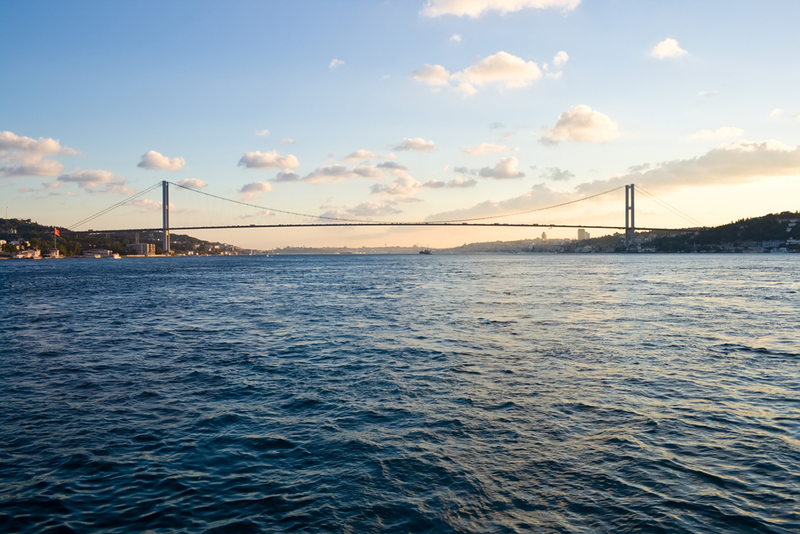 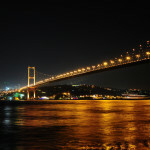 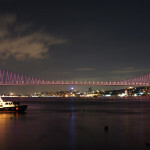 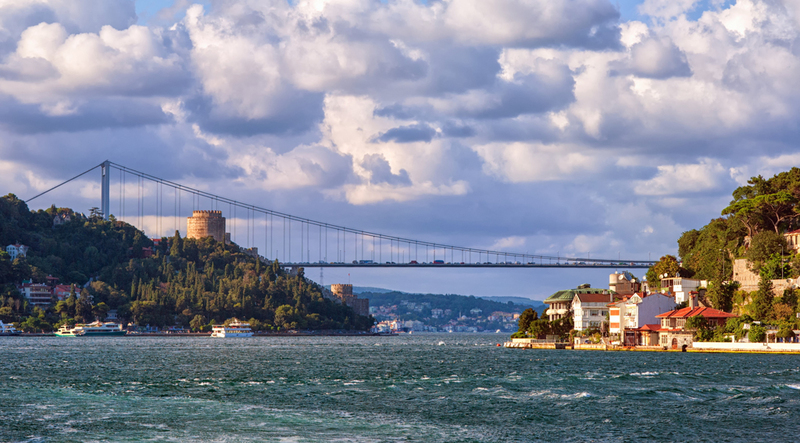 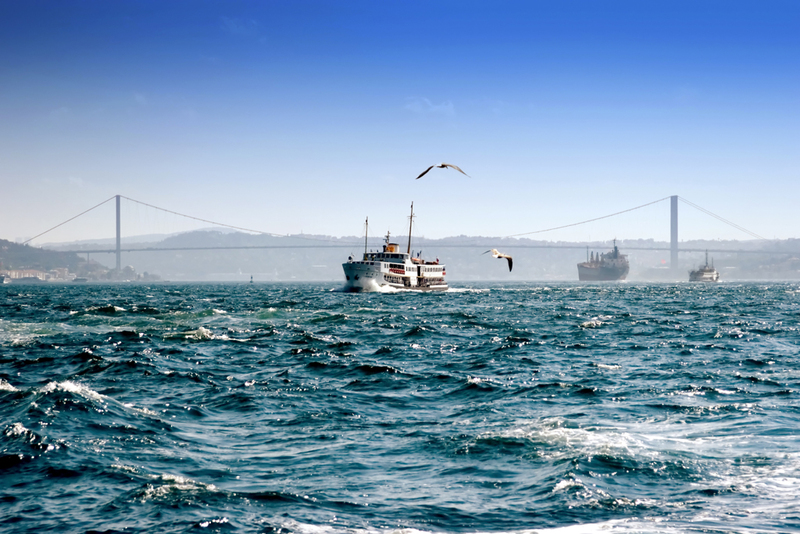 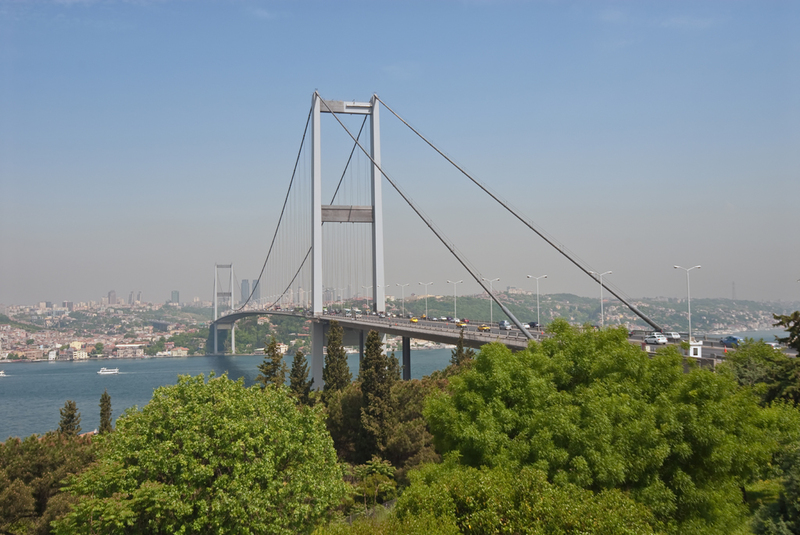 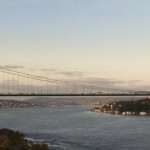 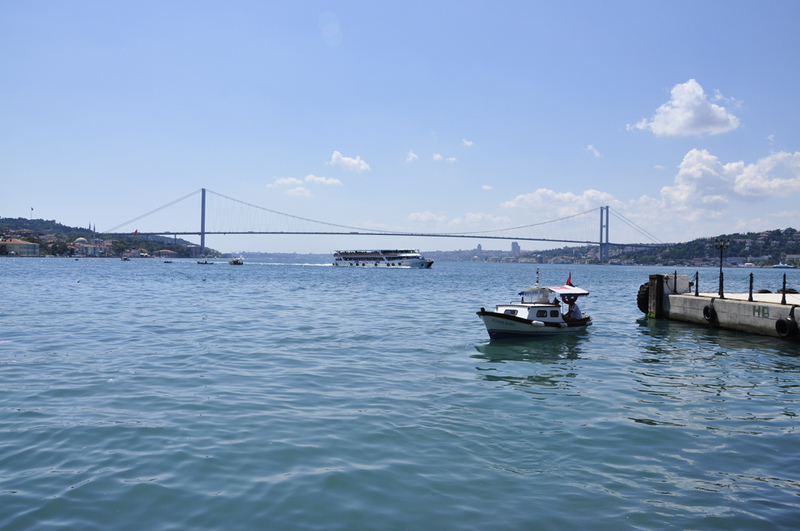 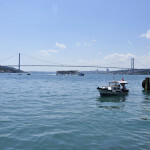 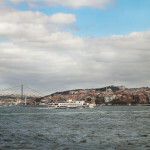 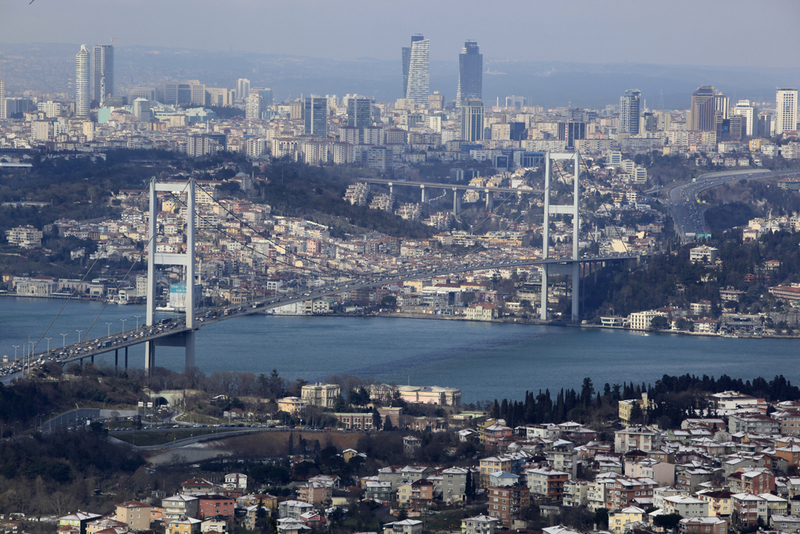 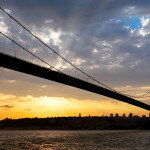 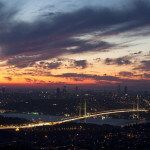 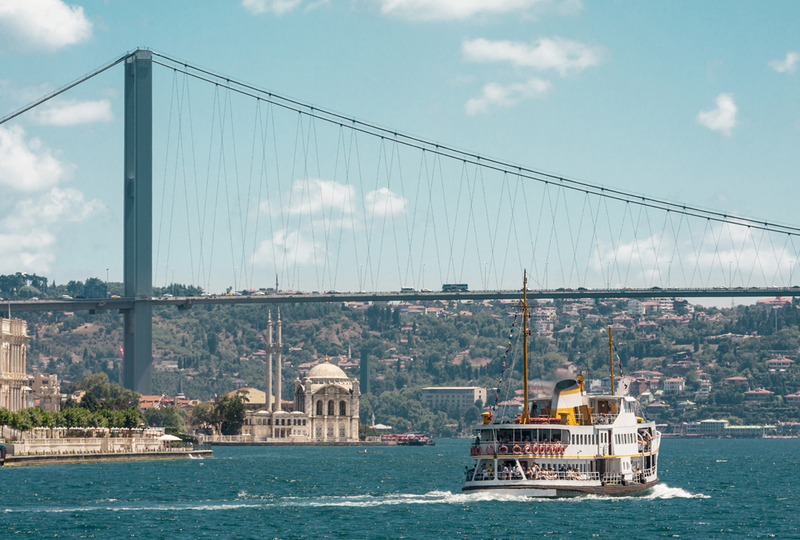 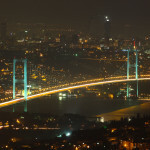 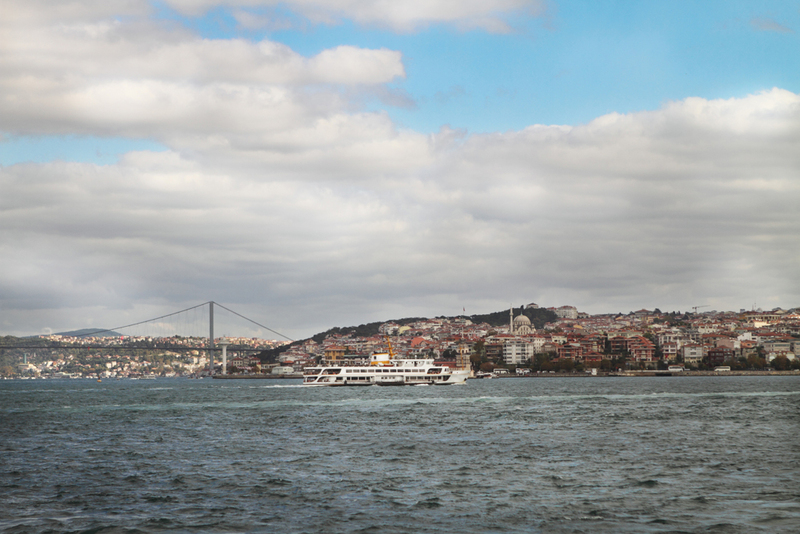 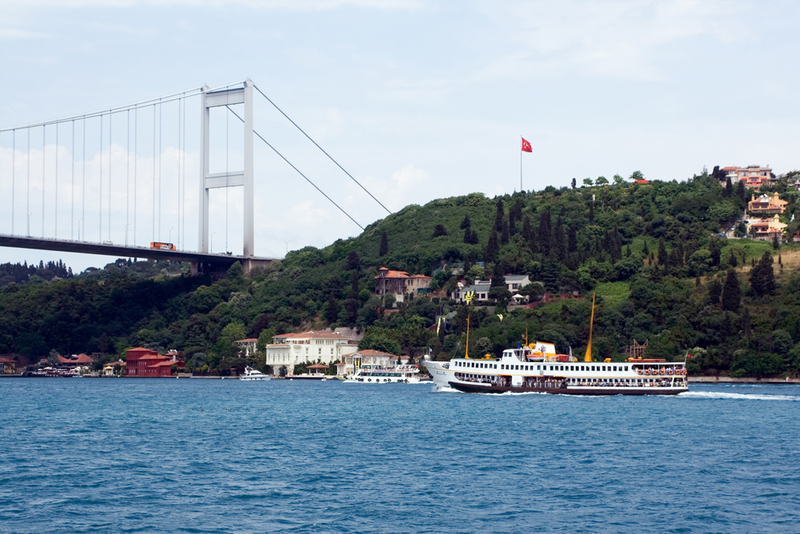 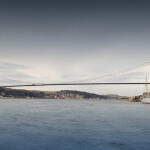 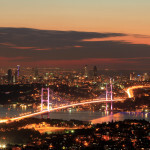 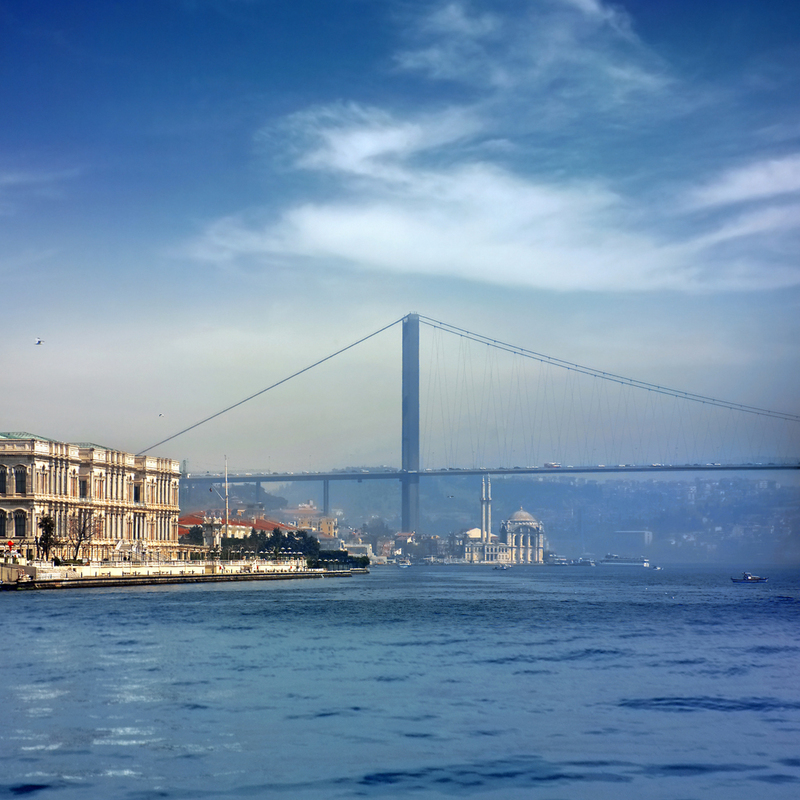 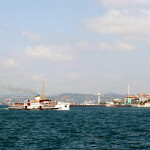 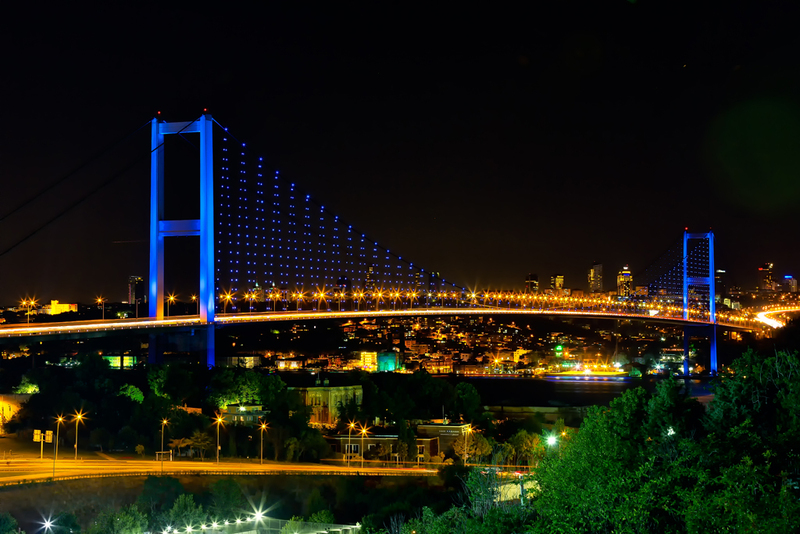 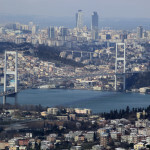 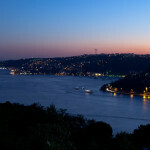 Along with the second, the Fatih Sultan Mehmet Bridge, and the ferry services the bridge is one of the principal means of transportation connecting the two sides of the city. 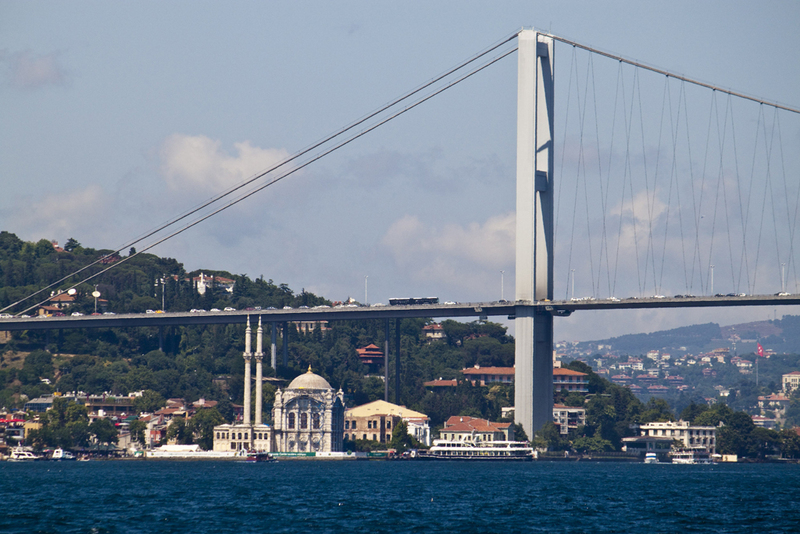 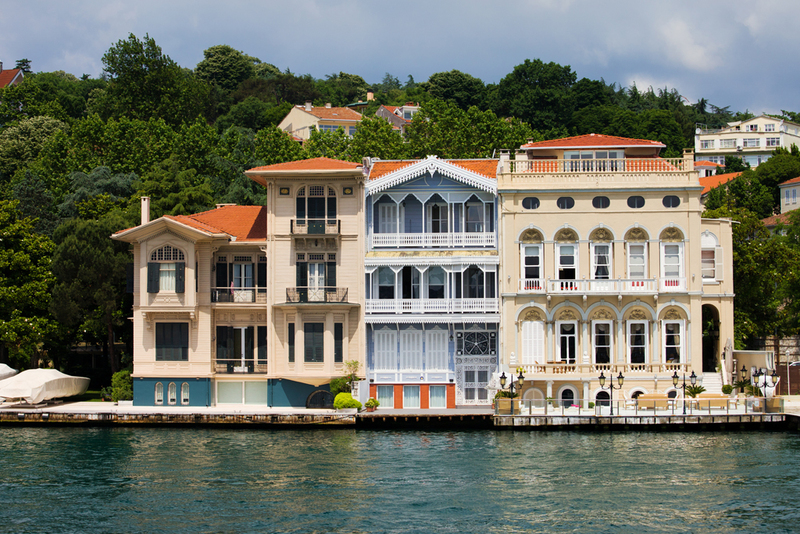 The idea to build a bridge across the Bosphorus was an old one. 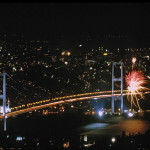 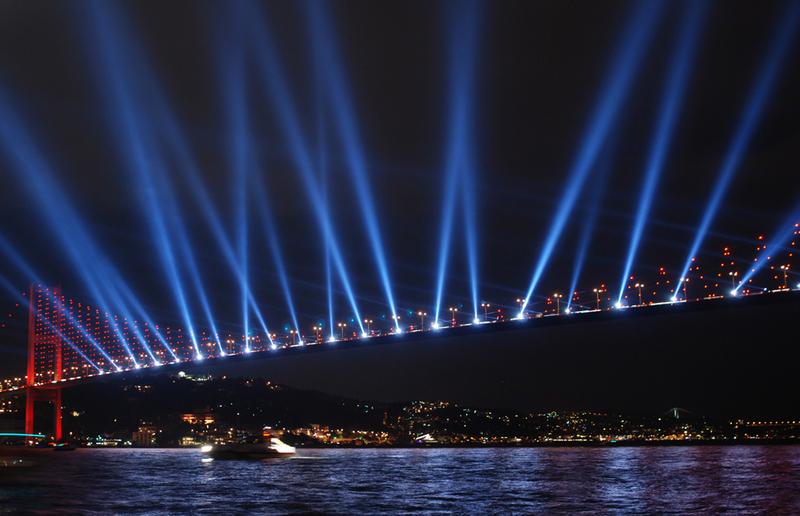 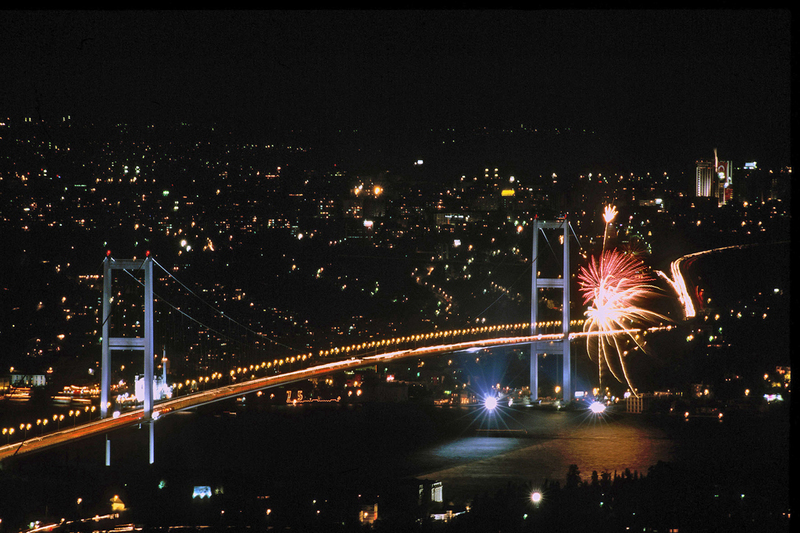 The Bosphorus Bridge’s construction began in 1970 and it first opened to the public on the 29th of October, 1973 – fifty years to the day of the proclamation of the Republic of Turkey. 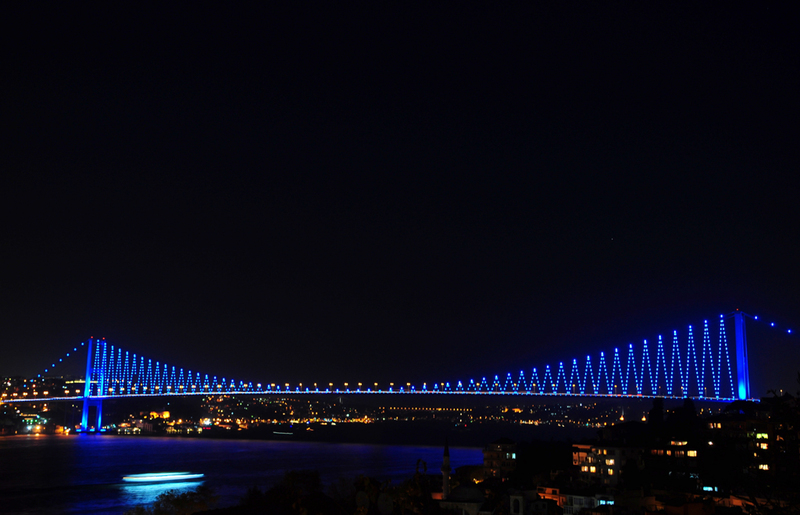 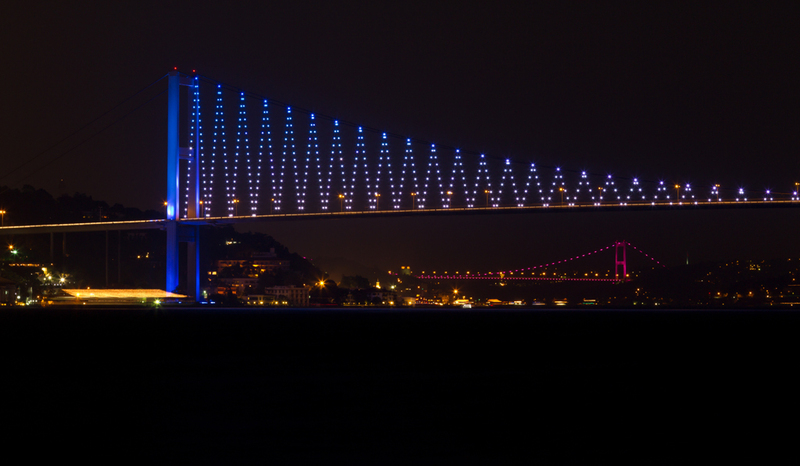 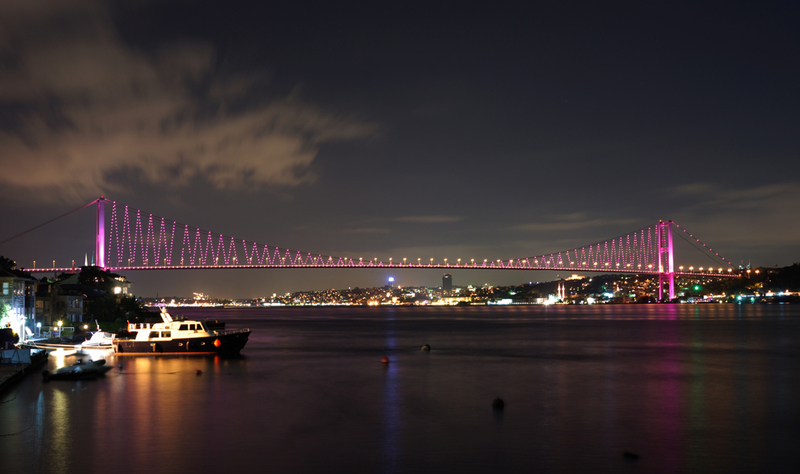 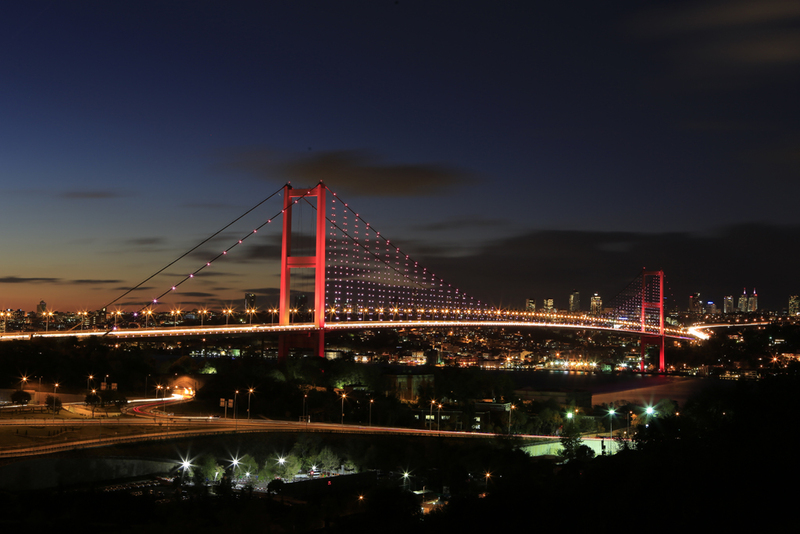 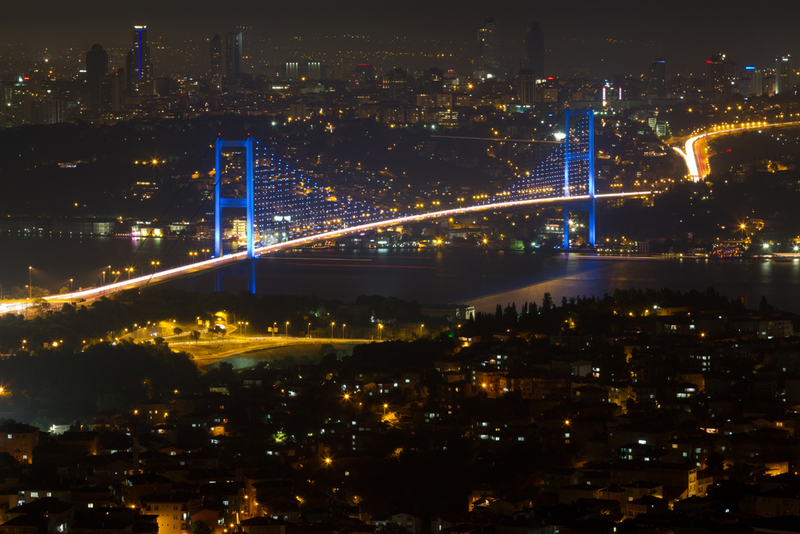 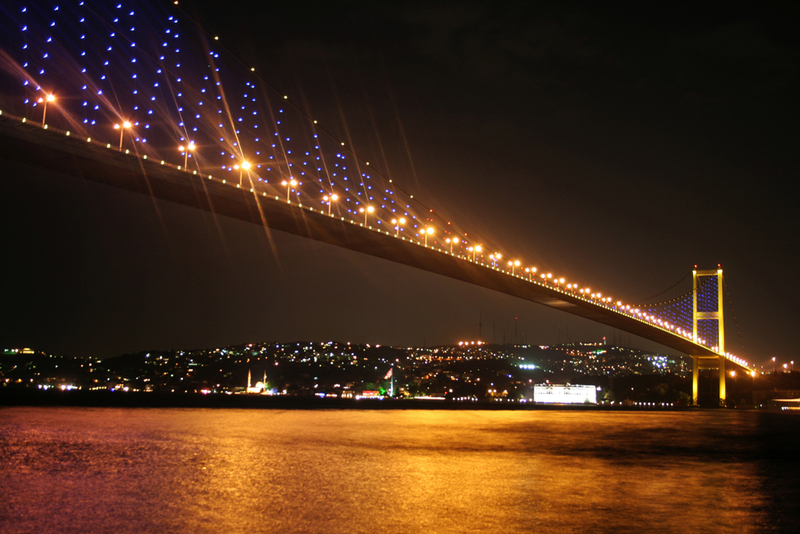 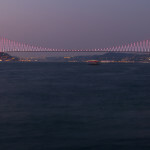 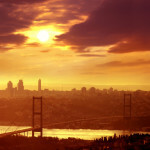 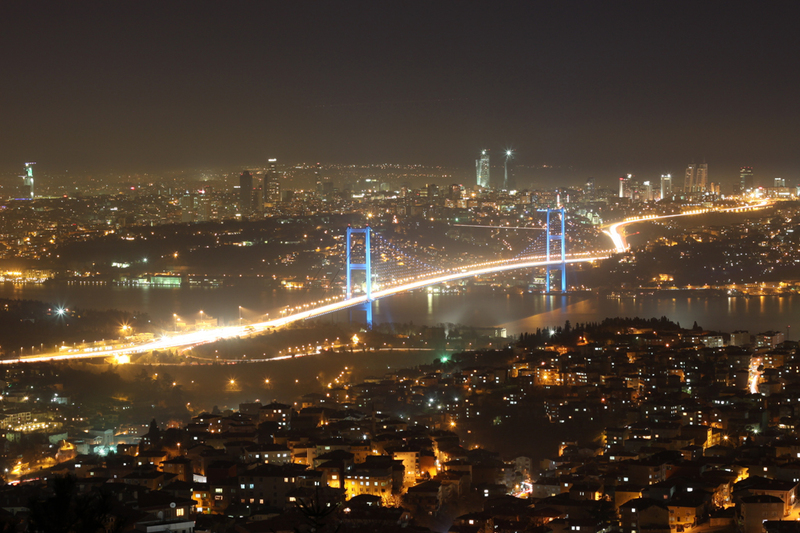 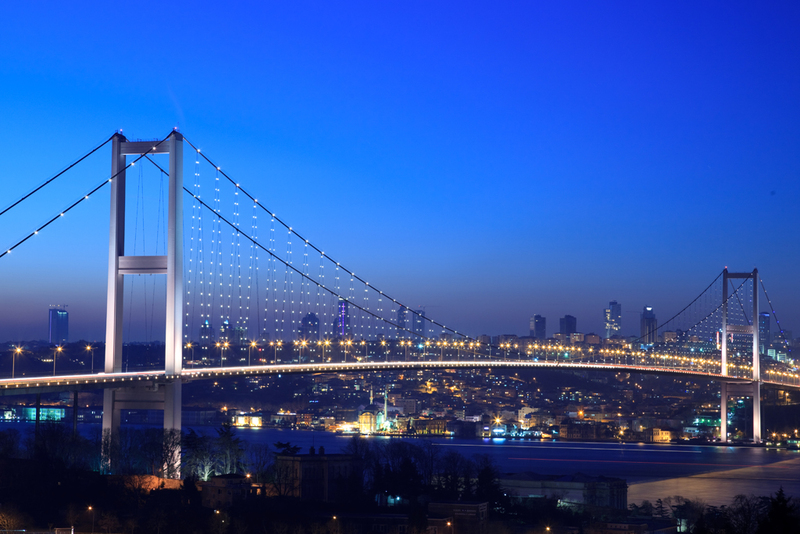 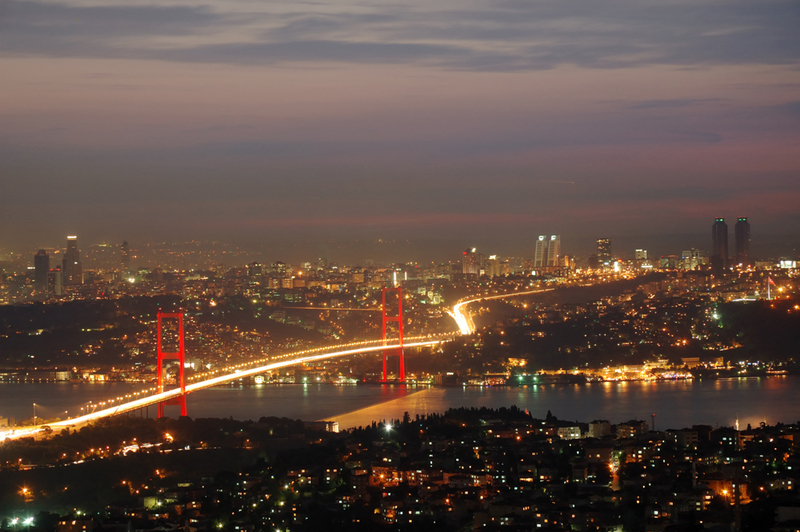 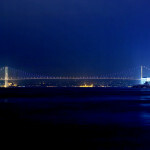 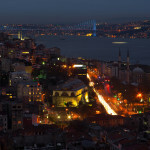 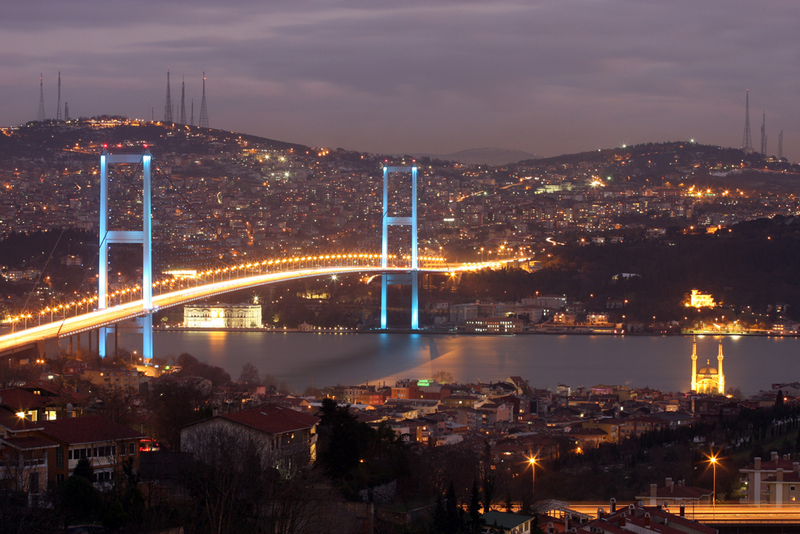 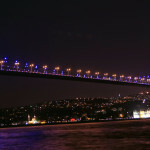 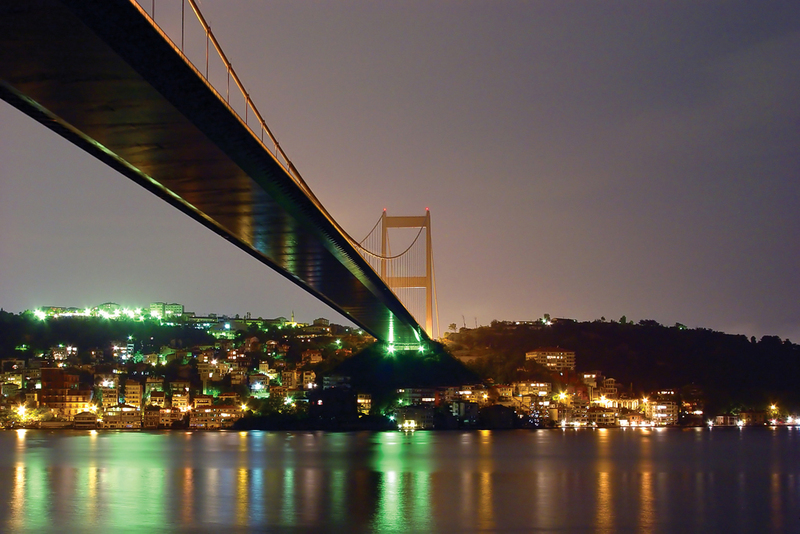 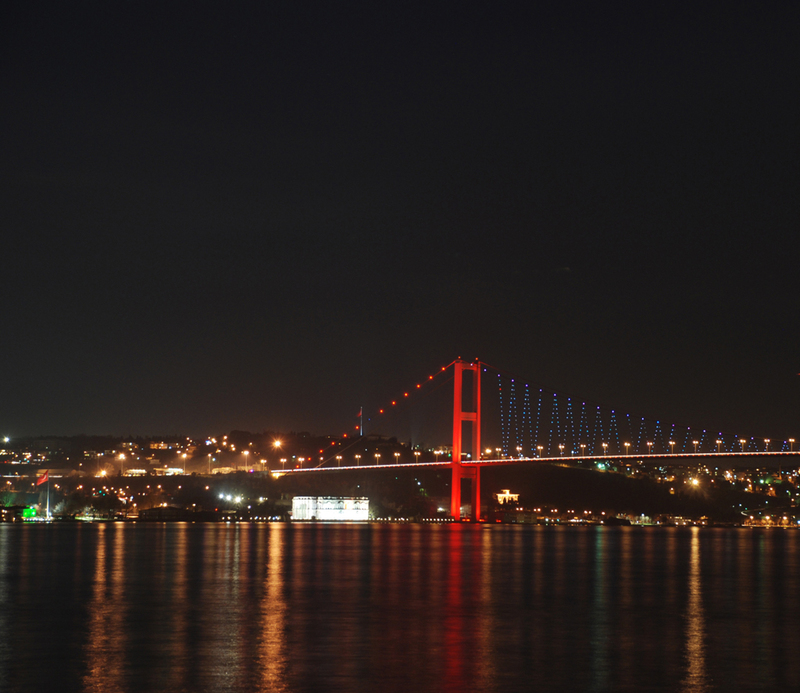 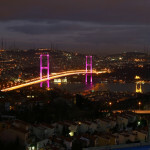 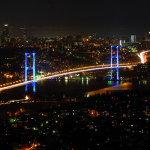 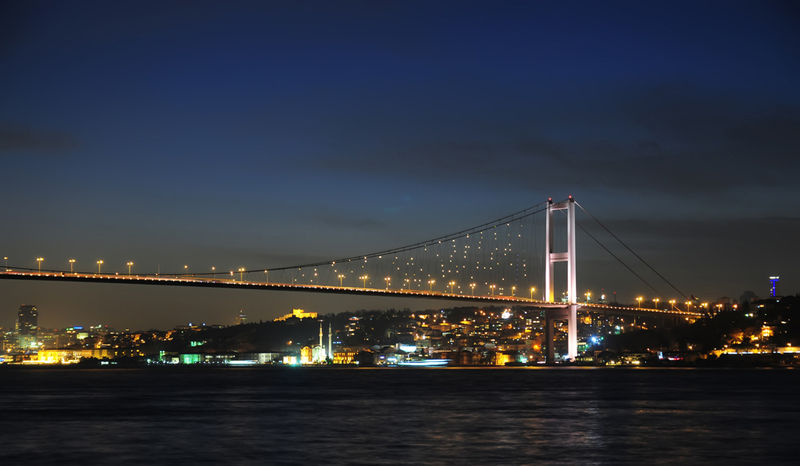 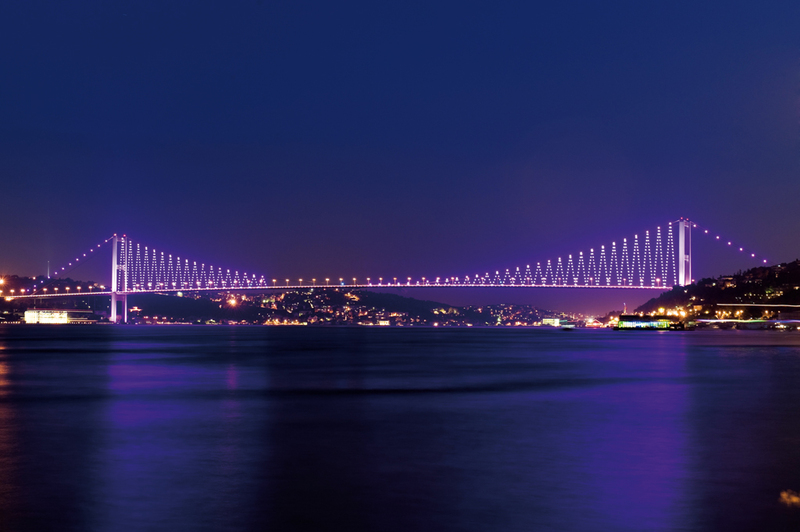 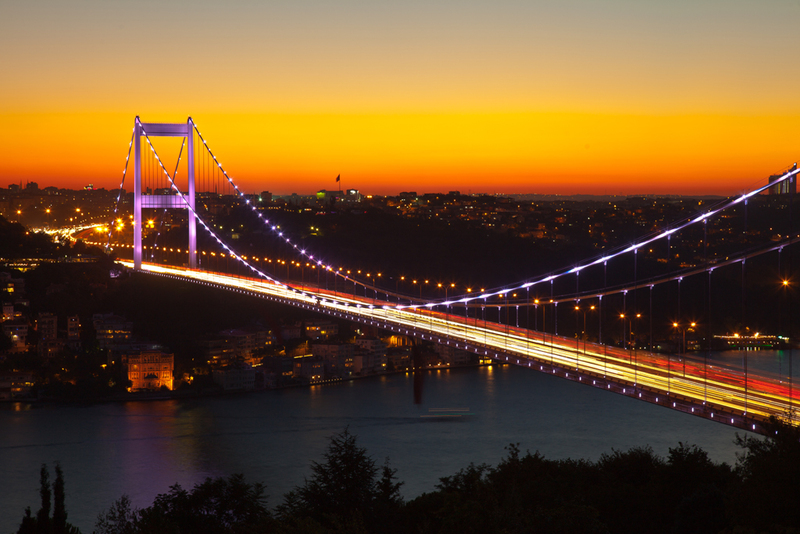 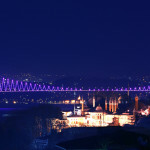 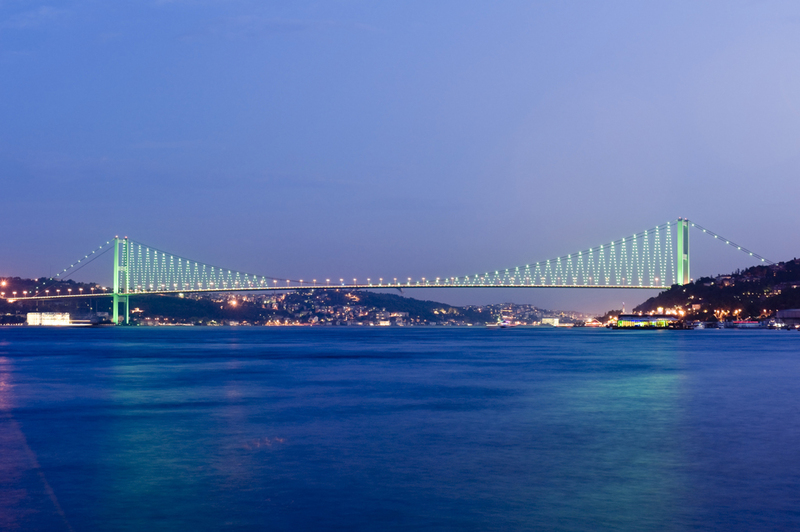 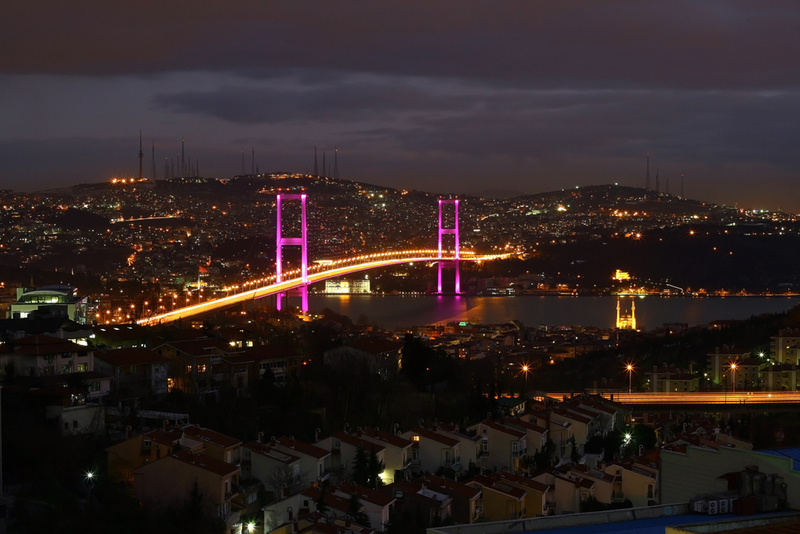 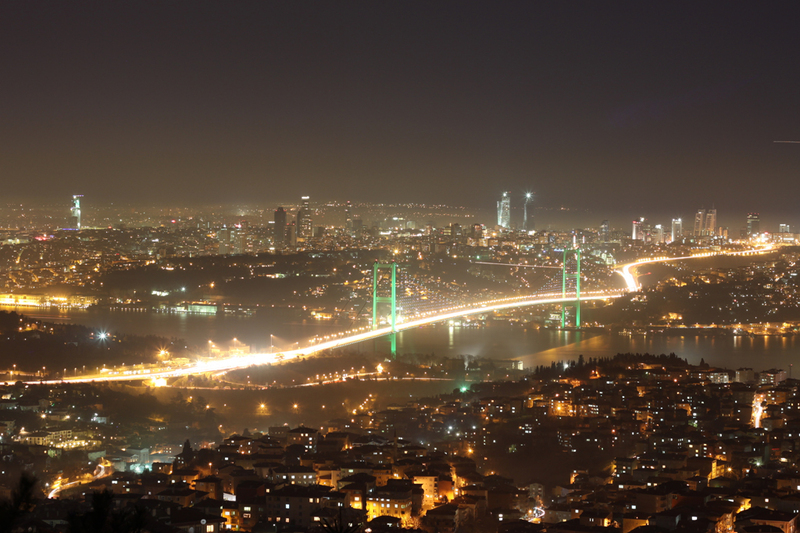 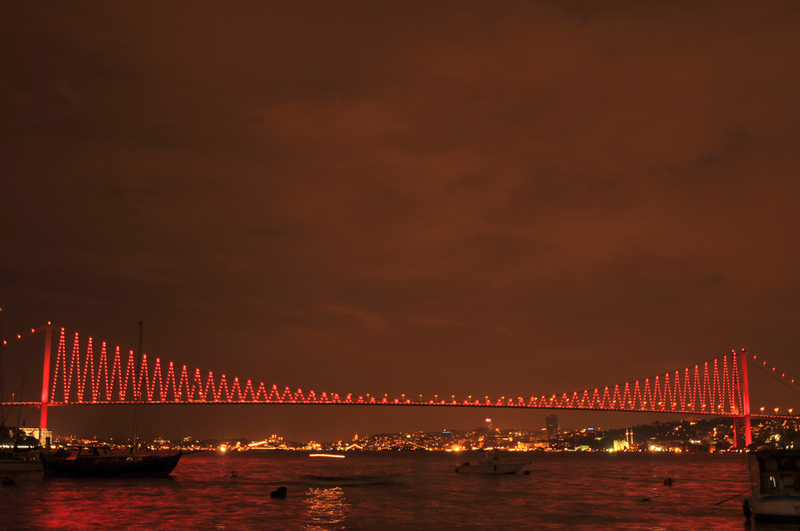 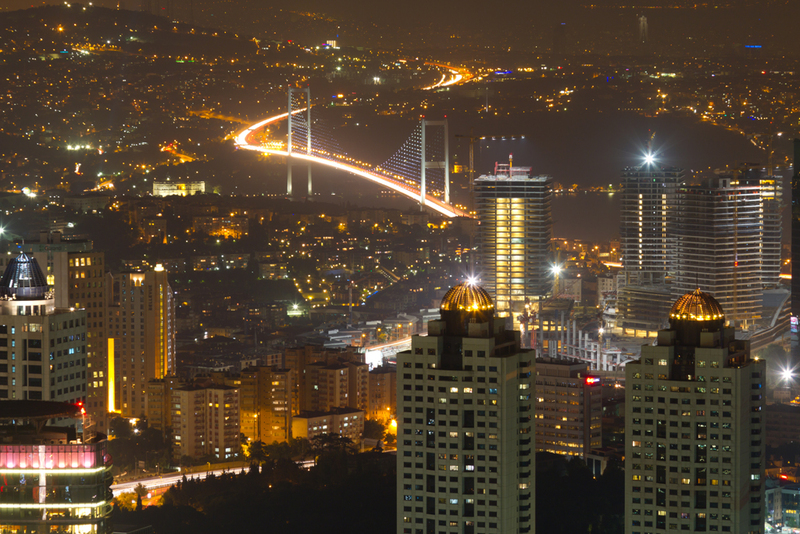 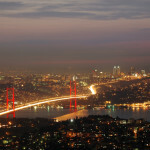 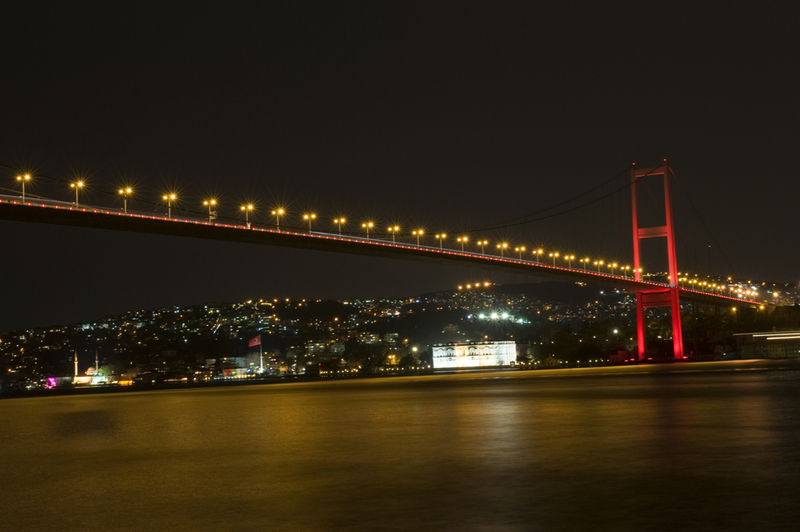 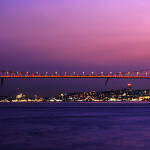 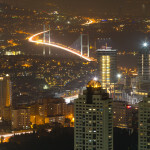 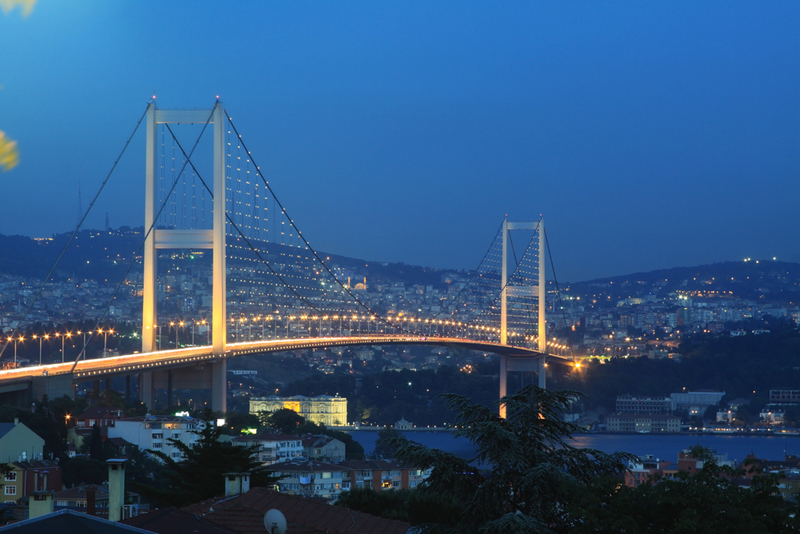 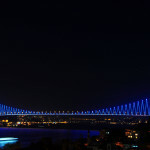 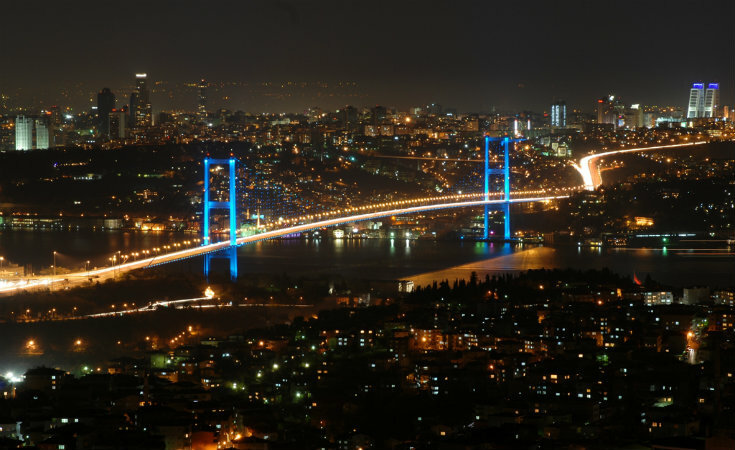 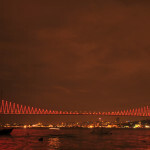 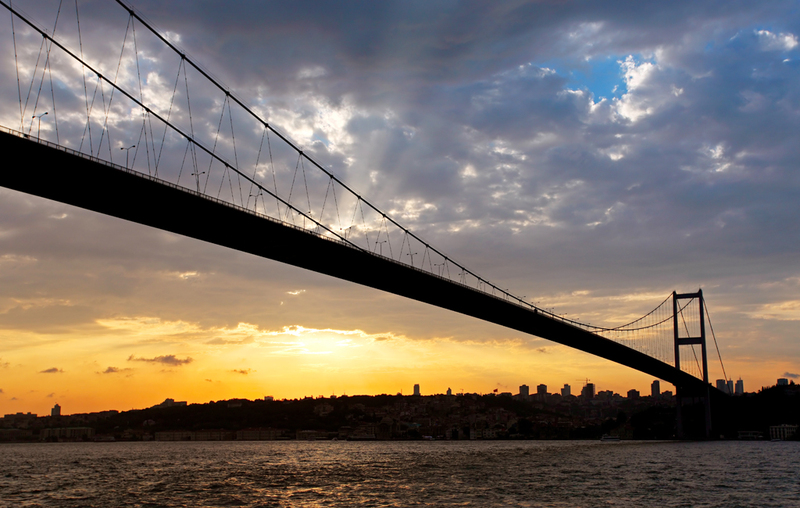 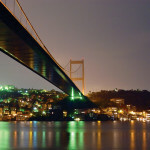 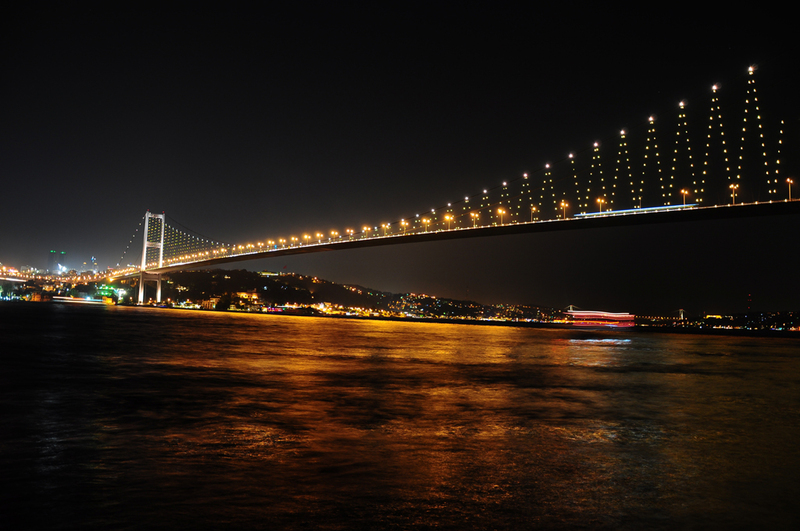 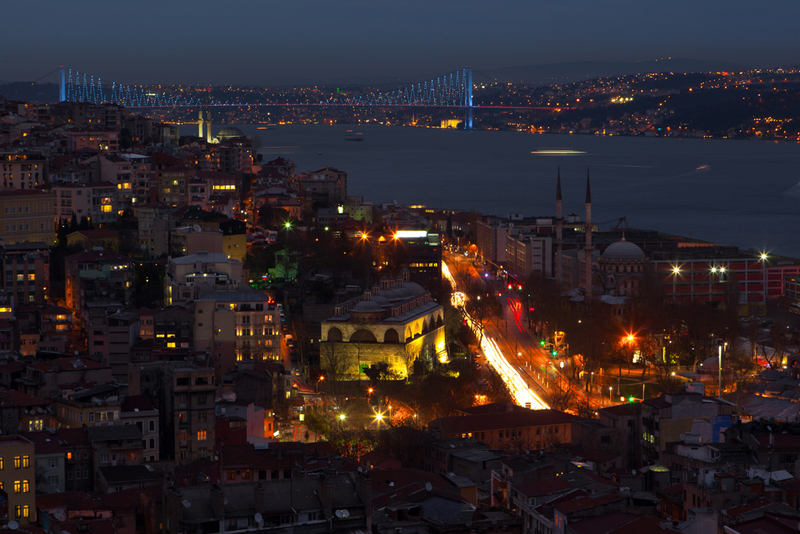 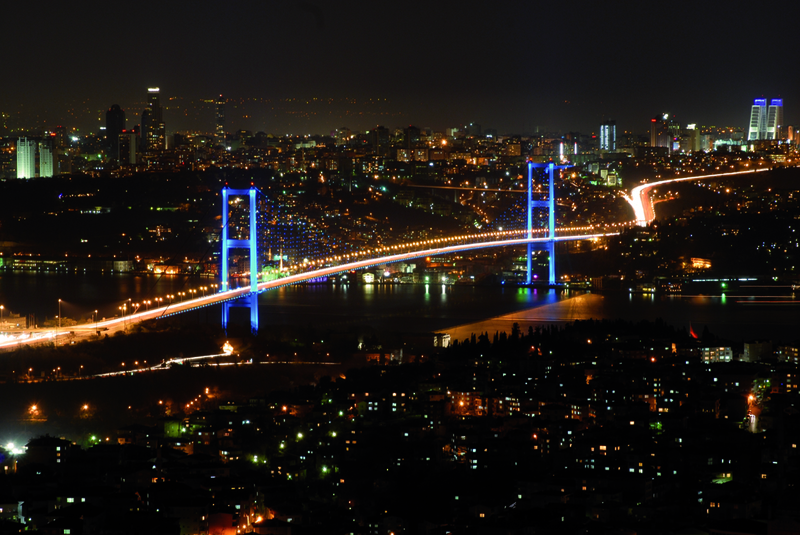 The bridge is an important link in the Turkish transportation network and is in use at every hour of the day. 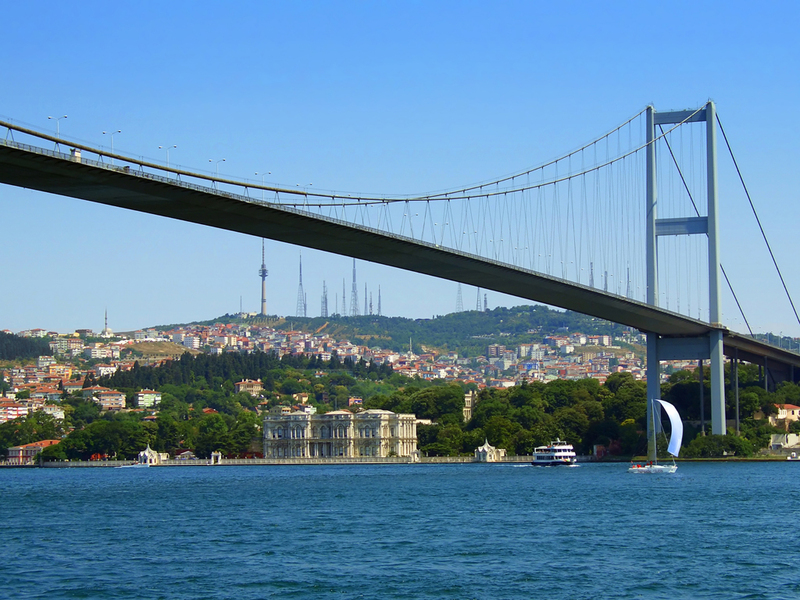 It is also an important landmark in the marathon organized every year by the Greater Istanbul Municipality (Turkish: İstanbul Büyükşehir Belediyesi). 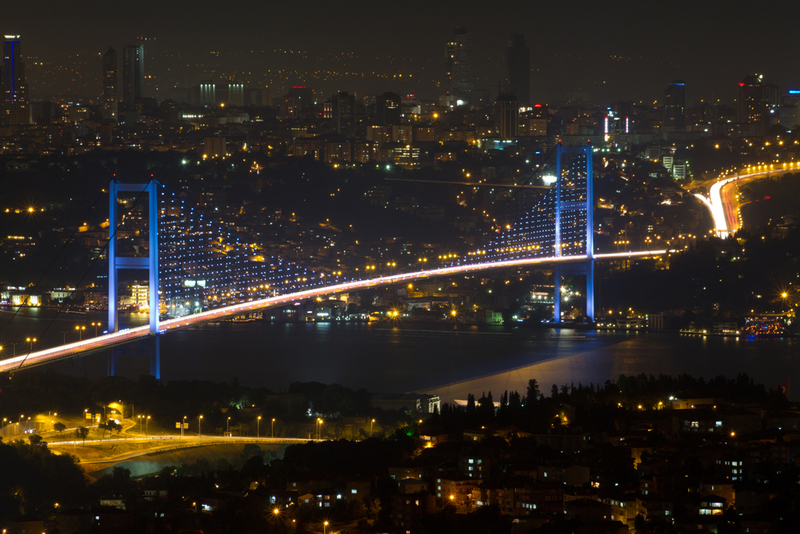 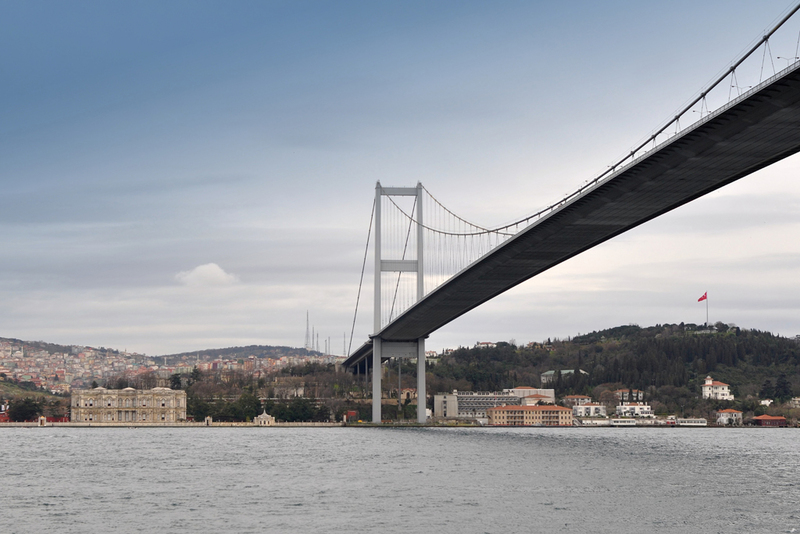 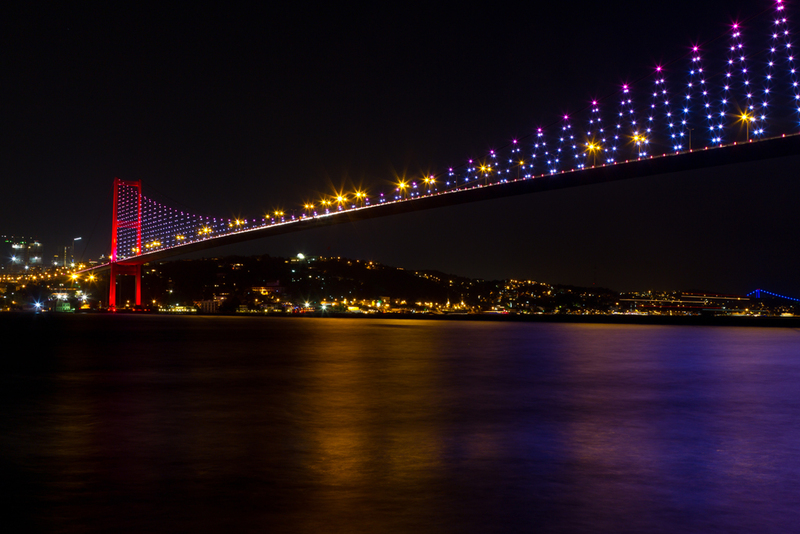 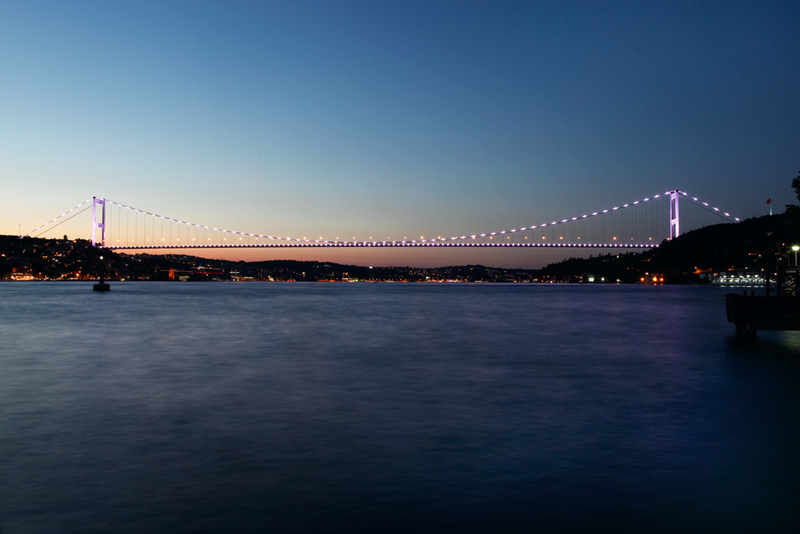 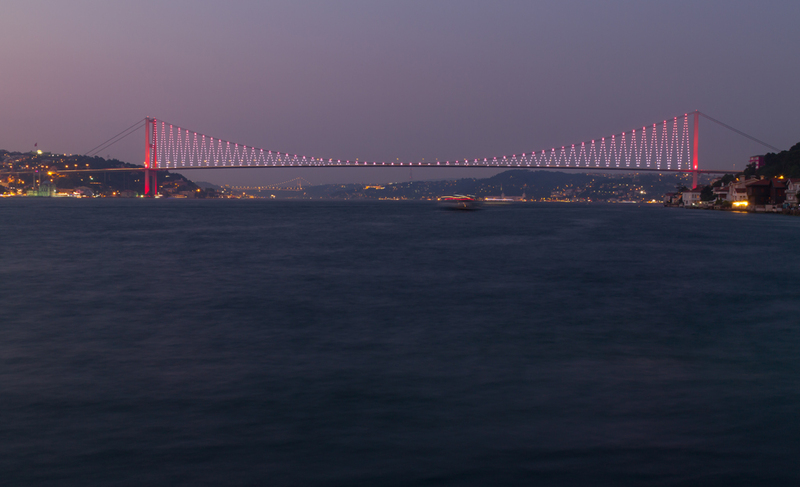 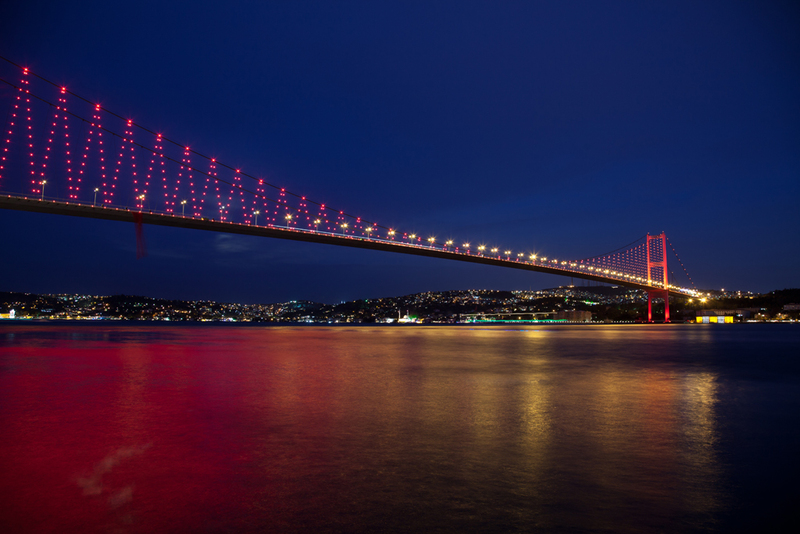 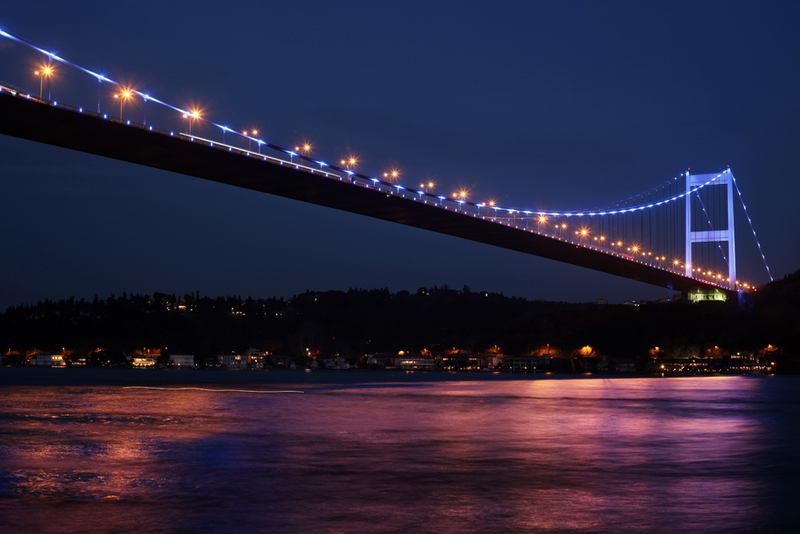 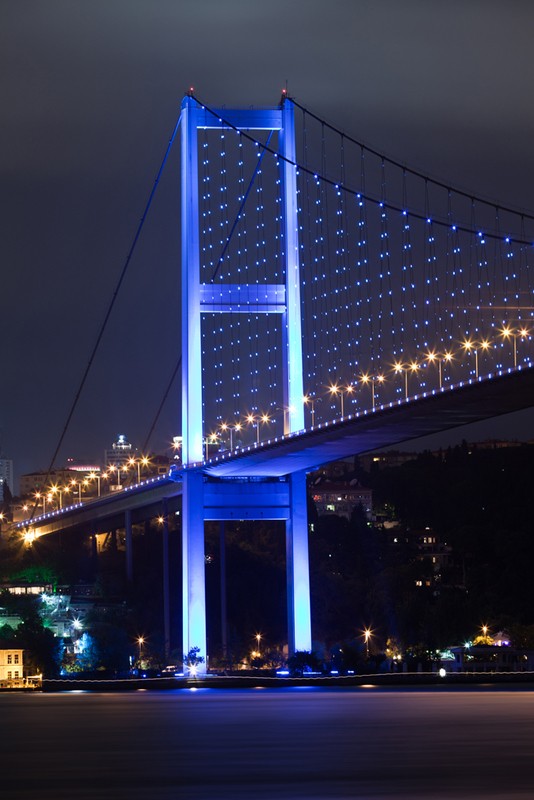 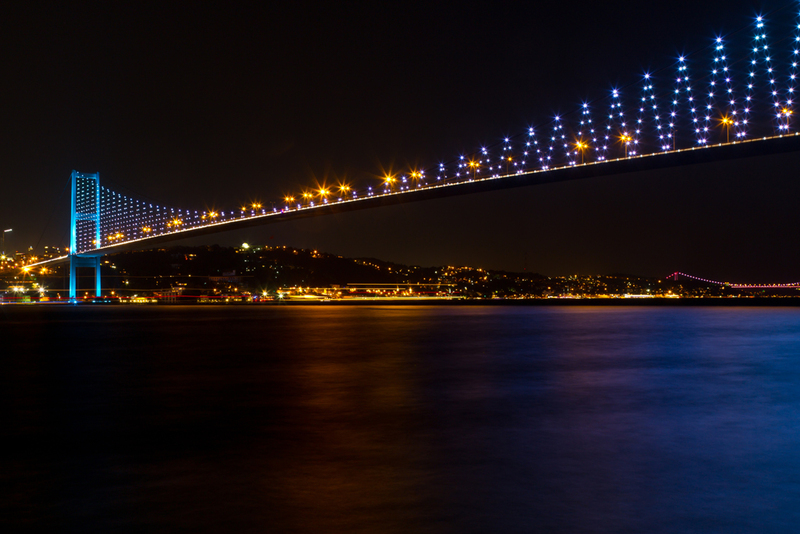 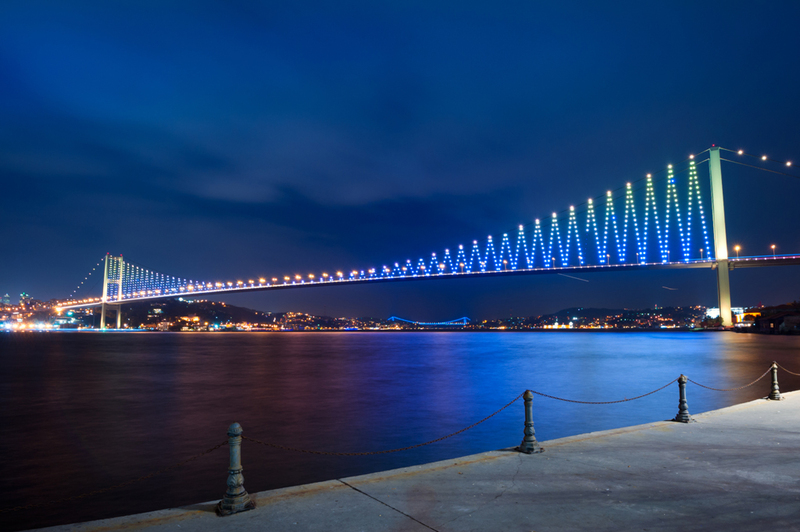 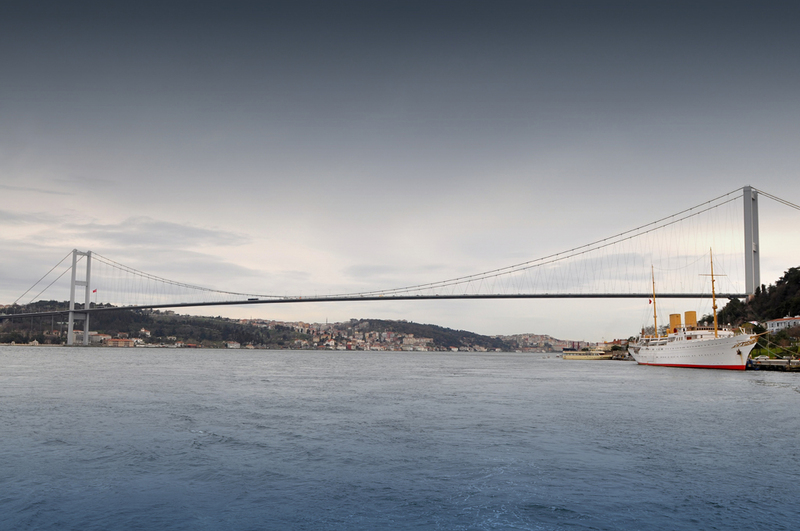 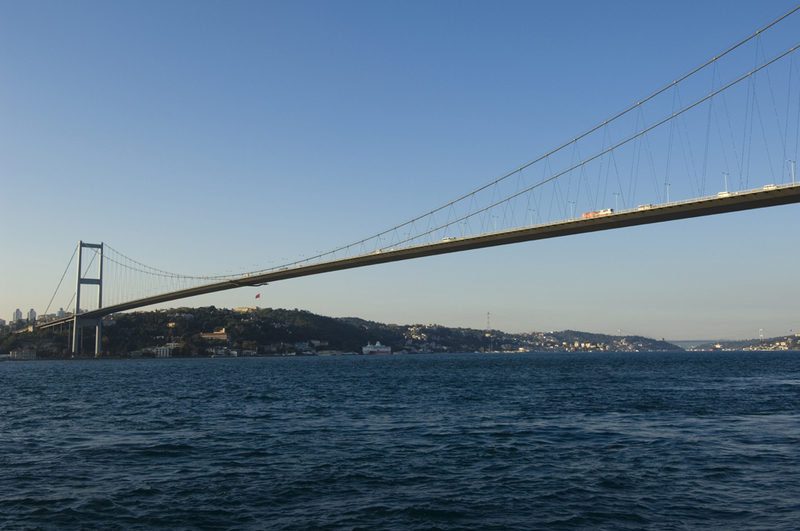 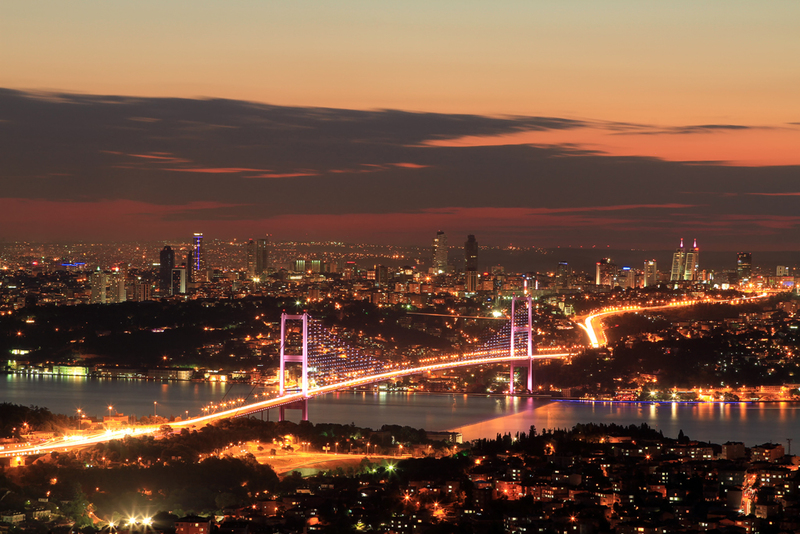 Outside of its importance to transportation, the bridge provides a matchless view of the Bosphorus and has become an important symbol for the city.